To celebrate my new sales permission, I'm opening up my first few slots for commission plush ^^. There will be three slots for 6" plush starting at $50 (straight sale, based on complexity) and one slot for a 12" plush starting at $85 (auction). They will be made out of minky, unless you would like another material. 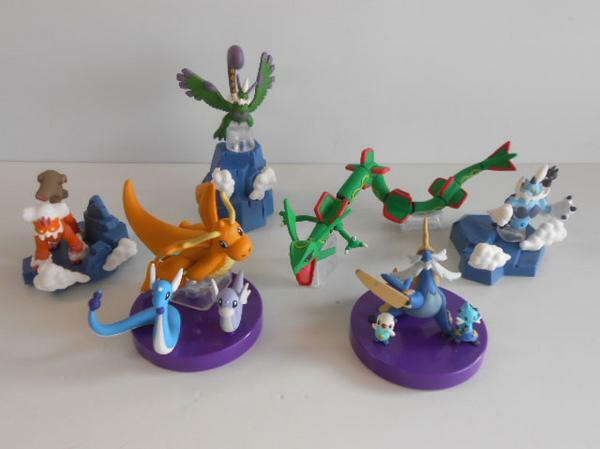 Hi, fellow pkmncollectors. I believe everyone here is now suffering from Eeveelu mania right now. lol. But wait, is there anything else to be expected at the end of October? Hint: what is the best ever made merchandise by Takara Tomy? YES! It's the release data date of BW04 Zukan! I have already ordered a set of zukans when I saw them late night. I just hit the "Bid" button without looking at the descriptions. It came out that the set contains 4 sets lines of Zukans but I paid only 800 yen for them. Yayyyyy! Every set will be $5 before shipping cost and fee. This is ONLY for claim at the moment. I am NOT asking for your payment. 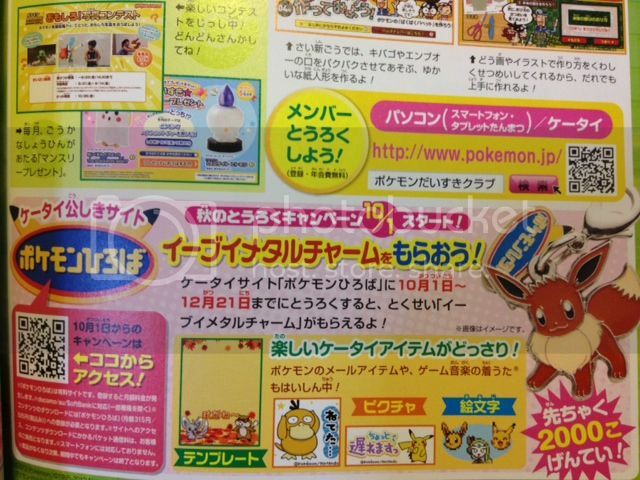 Sales permission granted by denkimouse on 01/28/2011. If there is an issue for this kind of post, please let me know and I will fix it. Thanks for your reading! So my boyfriend is visiting in a couple weeks, and I've made it a priority to get him this gift - an Oshawott Pokémon Center Plush! If anyone has this cute little fella, throw me a price! As long as he has his tush tag, I'm not picky about anything else :3 Found one! Then, this is the last Eevee charm I need to complete my (official releases; I'll always be interested in customs) Eevee charm collection! It's the limited edition lottery Eevee charm, which is being given out now, so I'm going to try my luck and see if anyone has one for sale - please let me know! 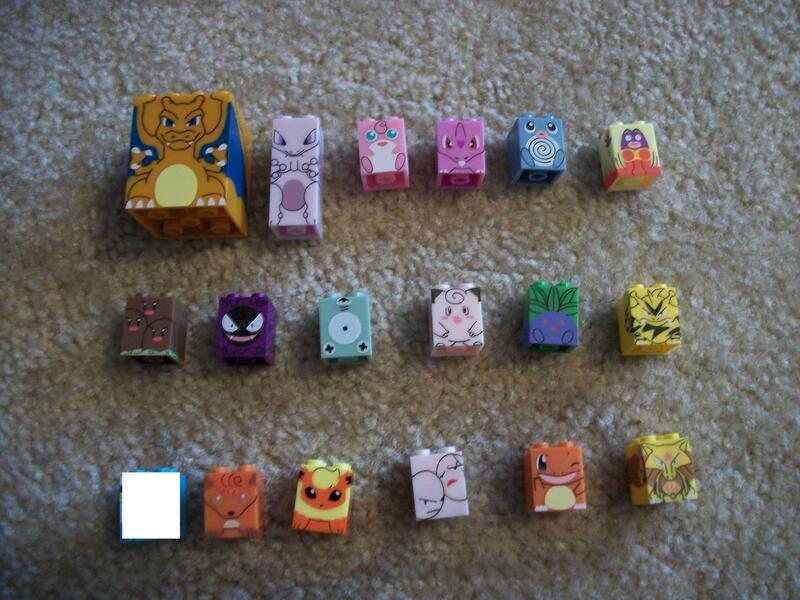 Just a reminder on my pokemon mega blocks auction! New Nasija GA final payments! The GA arrived to me finally yesterday and today I took the time to set up everything! PLEASE READ THE RULES before sending the payment! And now to all the Leftovers!!! THESE ARE UP FOR SALE FOR EVERYBODY! 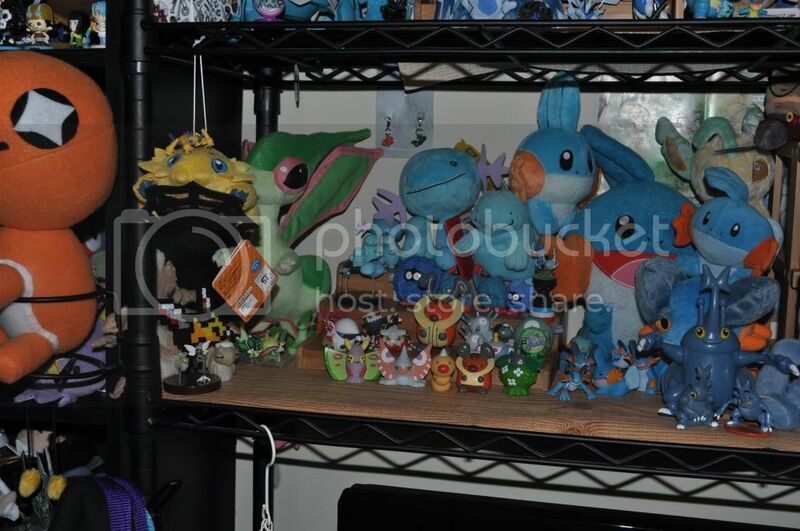 Plush, Pokeman pins, lots of cards etc up for grabs! 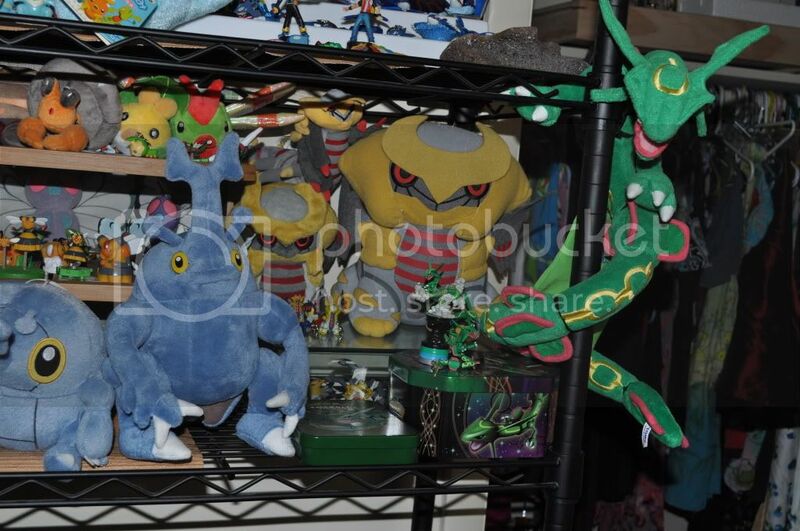 - I added a bunch more things to my collection and updated how I'm displaying things! - I'm still waiting on more stuff, but I couldn't wait to show what I've gotten recently! Oh, and another thing! If anyone wants to trade/battle, my friend code for White 2 is 1550 3027 0797. 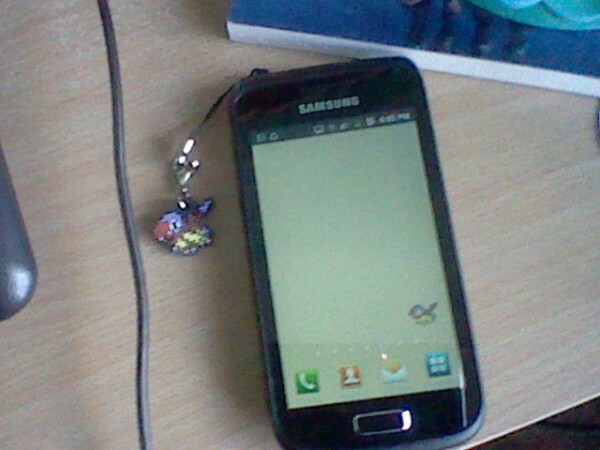 I'm not sure when it came, but when I got back to my family home my archen dot sprite charm had arrived! 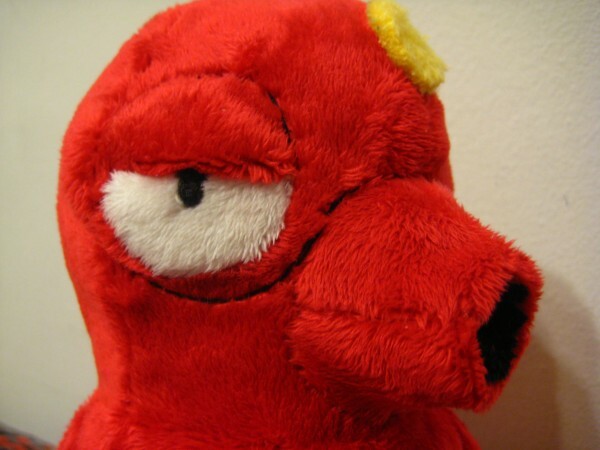 I mainly collect archen, if you have some official (or custom) archen merch you can sell or trade with me that I don't have listed, please let me know! When giving me your price, please include shipping. Note that I live in Australia. 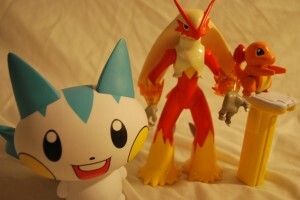 Hello Poke'fans! :D I apologize in advance if this is long but I have lots to show and tell! My name is Holly and I am currently living in BC Canada and am an immigrant from Australia :3 As for quite a large chunk of the fans here, I got into pokemon at a young age when it came out for the first time! My uncle gave me the pikachu-edition gameboy color and pokemon red for my birthday and ever since there has been a deep love between myself and this franchise! My top two favourite pokemon are Eevee and Electrike and I have played all the games. 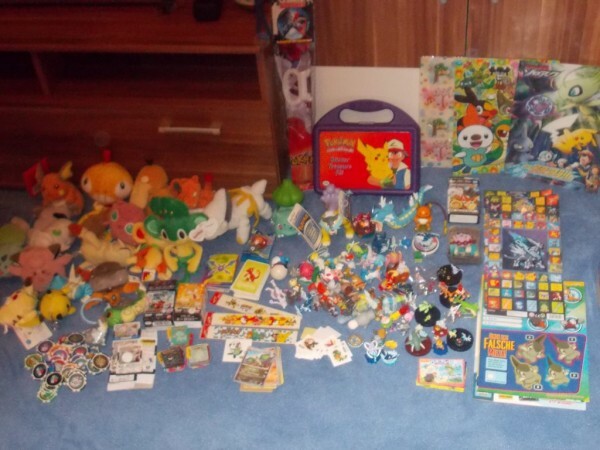 Until fairly recently I didn't really collect merch as I was traveling a lot and didn't think I had access to much of it (the internet proved me wrong). My little collection is growing however and i'd like to show you all :D lets hope this cut thing works! Also I have an identification issue for those of you in the know! 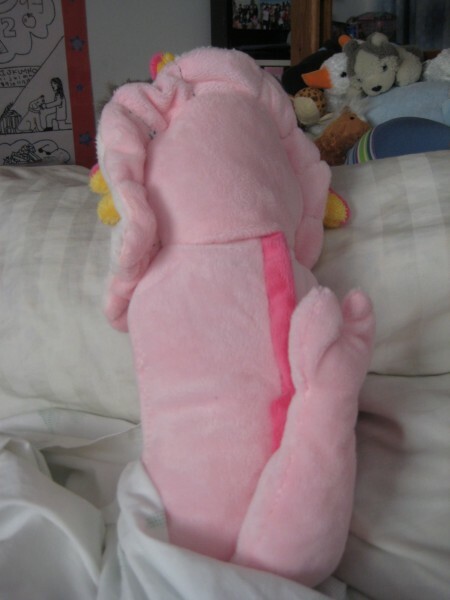 A chikorita plush I received recently is giving me the bootie vibe.. the hangtag looks scanned almost unless its just bad printing?? Please take a look and tell me what you think! My first sales post even though I've had permission since early 2010. Lineaalbagame me permission. I need to know your address and I will let you know how much shipping will be. But anyway let's get this started! Hey everyone! <3 It's been a little while! 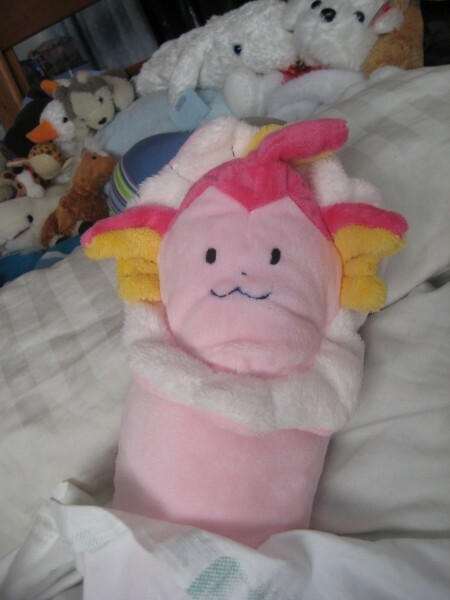 I come to you with a few more wants~~ you guessed it, more plushies! 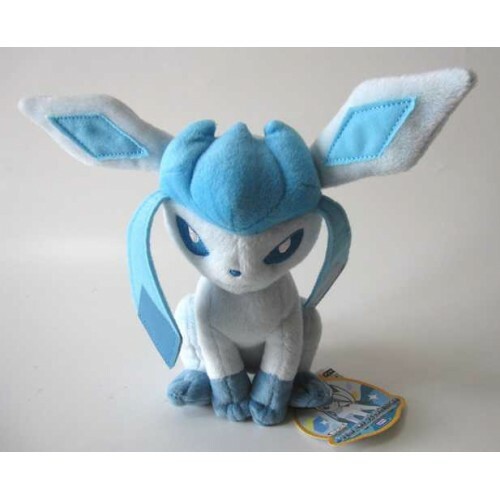 I'm looking for around $20 shipped per pokedoll. Not too much higher since I am intending to buy everything here in one go. I have to ask my mum permission to use paypal, and tomorrow's the last chance I think I'll get for a while (she gets annoyed...ehehe)... If any offers are posted up past that time, I'll have to wait till after exams for my next lot of purchases. So if you're a seller who fulfills any of the criteria, please let me know as soon as you can! Okiedoke, this is an extra large post, so turn back now if you are adverse to long stories and cute pictures!"